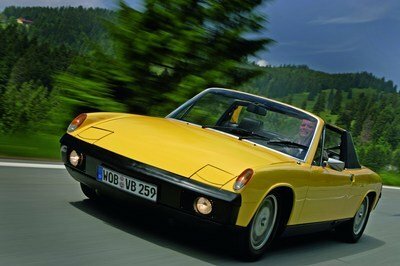 What makes a German luxury car even cooler? Adding “Black” somewhere in its name! And that is exactly what Porsche has done with the 911 Carrera Black Edition. 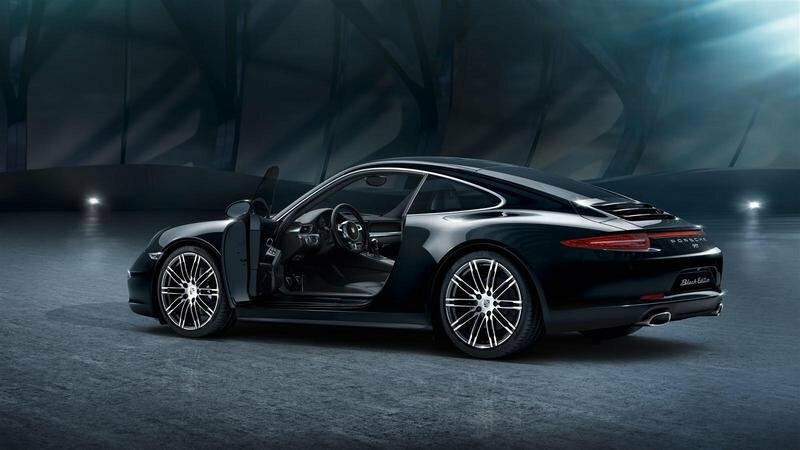 So what exactly is a “Black Edition” 911? Well, it’s black inside and out, for one. Therefore, for those of you living in SoCal, Florida, Arizona, or any other areas where the sun feels like it is approximately three inches from your nose nine months out of the year, this may not be the car for you. Unless you enjoy intoxicating scent of searing hamstrings on a hot summer day, that is. Other than its oh-my-god-that’s-hot, black-on-black color scheme, the 911 Black Edition gives buyers a few exclusive bits and a ton of features for only a fraction of the price if you ticked them manually at the dealership. By my count, you save about two-thirds the amount by opting for the Black Edition when compared to going through the options list on a base 911 Carrera and adding all of the features. So, do all of these discounted standard features make it worth owning this Porsche Easy Bake Oven? 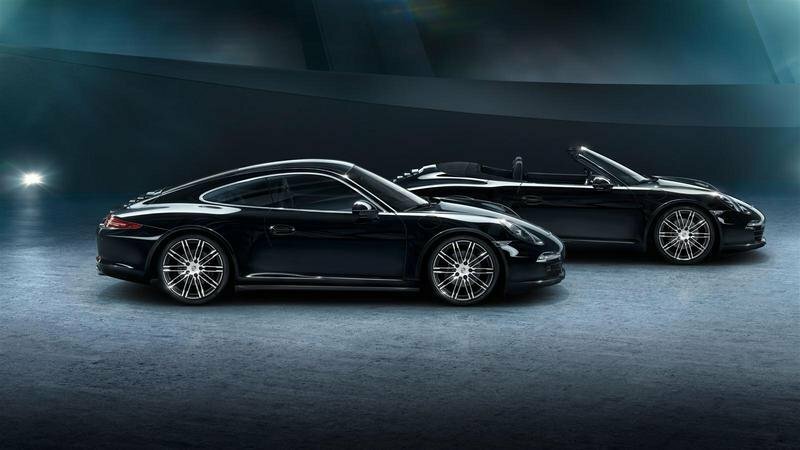 Updated 07/27/2015: Porsche unveiled a very cool promo video showing how the special edition 911 Carrera Black Edition comes to life from black ink. Enjoy! There is not too much to write home about for the outward appearance of the 911 Carrera Black Edition, but there are a few special touches here and there. The first, and most obvious feature, is its sleek black paint job that is one-half of the reason for its name. 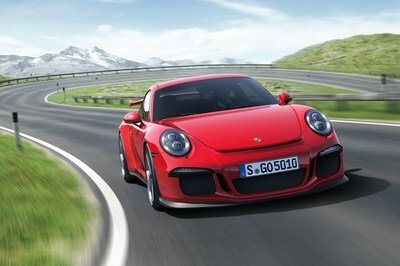 Also setting this model apart are its standard 20-inch Turbo-style wheels, auto dimming side-view mirrors, rains-sensing wipers, Porsche Dynamic Light System Plus, and an exclusive “911” rear badge. 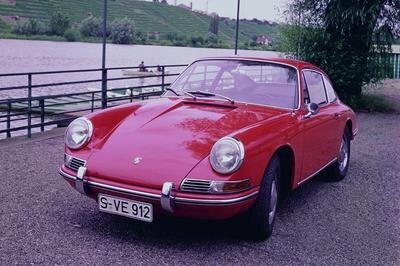 Other than the few items that set it apart, this is little more than a black 911 Carrera. It is available in both coupe and cabriolet models and with or without all-wheel drive. Like the exterior, the interior is only mildly updated in the Black Edition. 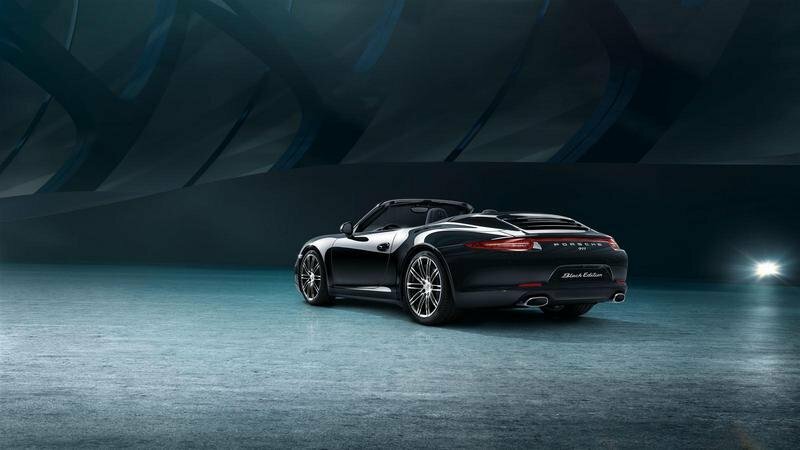 The most striking change is the full black-leather interior, which is the other half of the reason Porsche named this the Black Edition. The front seats are heated and they feature an embossed Porsche crest on their headrests. 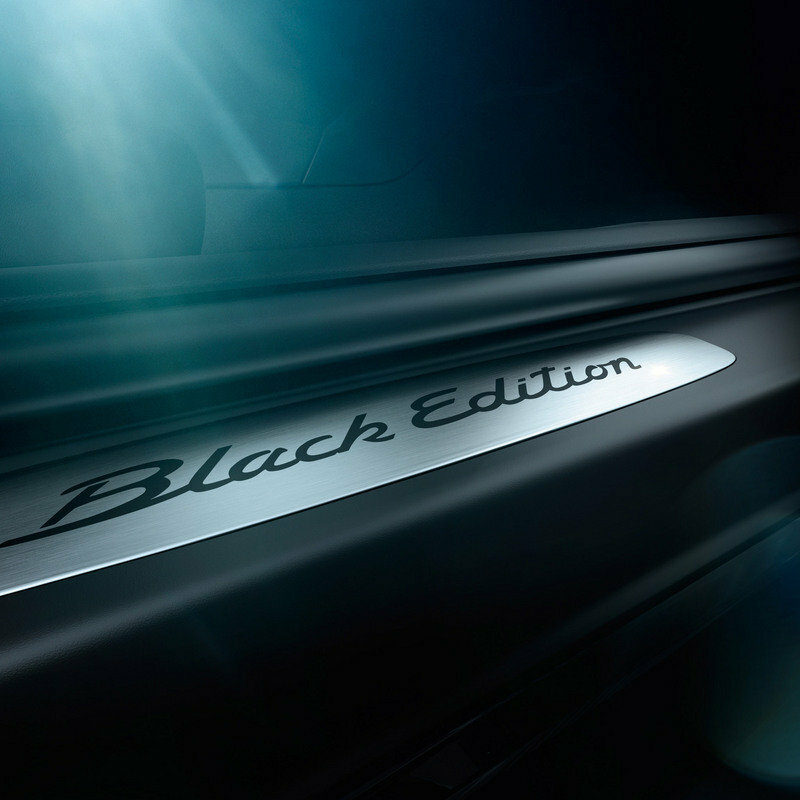 Also exclusive to the Black Edition’s interior are the “Black Edition” doorsill plates and the Sport Design steering wheel. 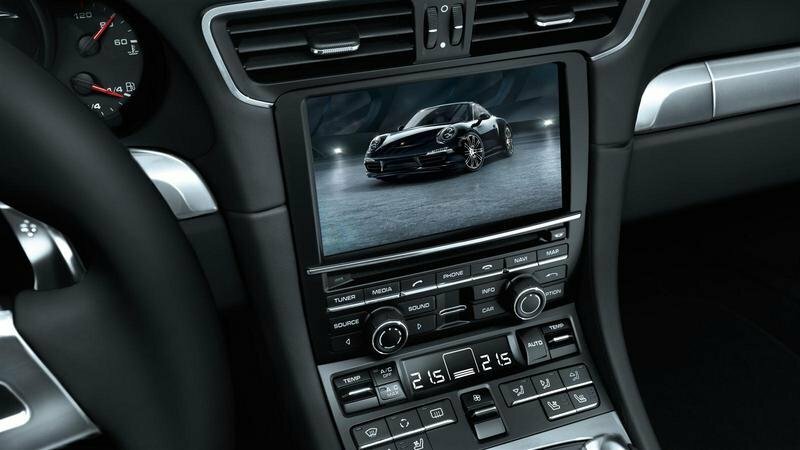 Other standard features in the 911 Carrera Black Edition include an auto-dimming rearview mirror, a Bose surround sound system, a rearview camera, a mobile phone module, front and rear park assist, sport seats, Porsche Communication Management, satellite navigation with a 7-inch touchscreen, MP3 connectivity, and auto climate control. Under the hood, everything is pretty much standard fare for a Carrera, and by this I mean it packs a 3.4-liter flat-six engine that puts out 350 horsepower and 287 pound-feet of torque. This rear-mounted six-cylinder mates to either a standard seven-speed manual transmission or a seven-speed PDK dual-clutch gearbox. 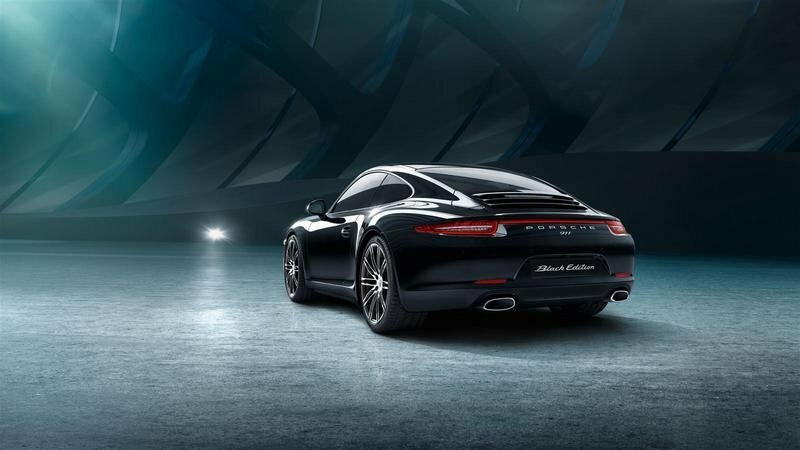 The base Carrera Black Edition delivers its power to the rear wheels only, but the Carrera 4 Black Edition has all-wheel drive. The resulting performance numbers depend upon which version of the 911 Carrera Black Edition you fancy. The Base model will sprint to 60 mph in 4.6 seconds and top out at 179 mph, but tick the PDK option and it’ll do the 0-to-60 sprint in 4.4 seconds (4.2 seconds with Sport Plus), but you lose 1 mph in top speed. Add in all-wheel drive, and the sprint times increase to 4.7 seconds with the manual and 4.5 seconds (4.3 seconds with Sport Plus Mode) with the PDK. 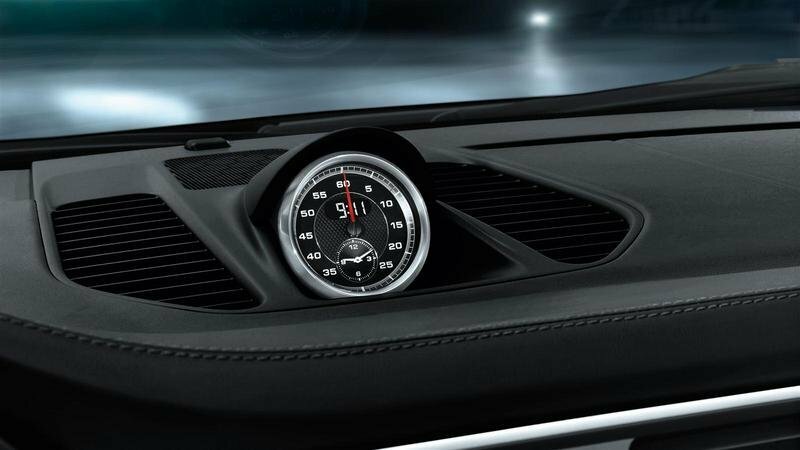 Top speed also falls to 177 mph in the Carrera 4 with the manual transmission and 175 mph with the PDK. 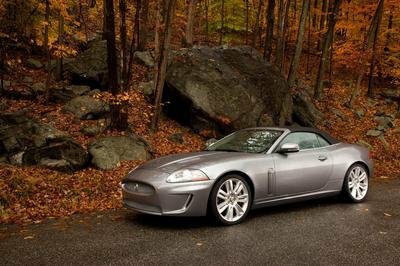 If you opt for the convertible model, the 0-to-60 times increase by 0.2 seconds across the board, and the top speed drops by 2 mph. The base 911 Carrera runs $84,300 and the 911 Carrera Black Edition starts from $88,800. Considering its status as a “special edition” the base price hike of $4,500 isn’t too bad. 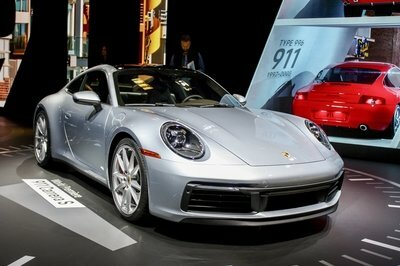 What’s more, when manually adding in all of the options, these add $12,500 to the base price of the 911 Carrera. This means you’ll save at least $8,000 by going with the Black Edition over selecting the included features manually. Adding all-wheel drive takes the Black Edition to $94,800, while opting for the drop-top model brings the price to $98,500. Going all in and opting for the 911 Carrera 4 Cabriolet brings the price to $104,600. Some people may scoff at the idea of a competitor for the 911, but they do exist. 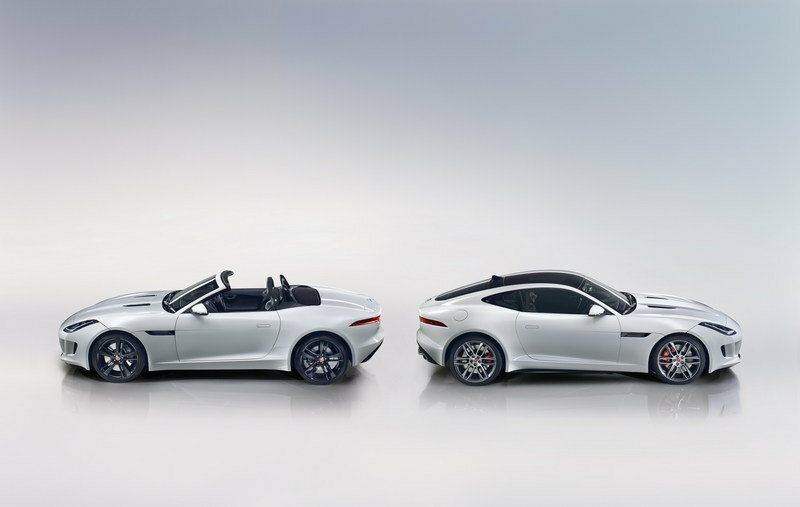 One of the latest is the Jaguar F-Type. The best competitor for the 911 Carrera in the F-Type lineup is the S model, which uses a 3.0-liter V-6 to produce 380 horsepower and 339 pound-feet of torque. This model is available with a manual transmission that drives the rear wheels or an eight-sped auto that drives either the rear or all four wheels. Despite its superior power, the F-Type S can’t hang with the 911 Carrera Black Edition in a straight line, as its quickest version (the rear-wheel-drive coupe model with the auto transmission) takes 4.8 seconds to hit 60 mph. The F-Type is, however, a fair amount less expensive, at $77,300 for the standard S Coupe. This lower price gives you plenty of wiggle room to fit in more options than the Black Edition comes with. If you’re looking for the most performance for your buck, you can’t go wrong with the Corvette Z06. 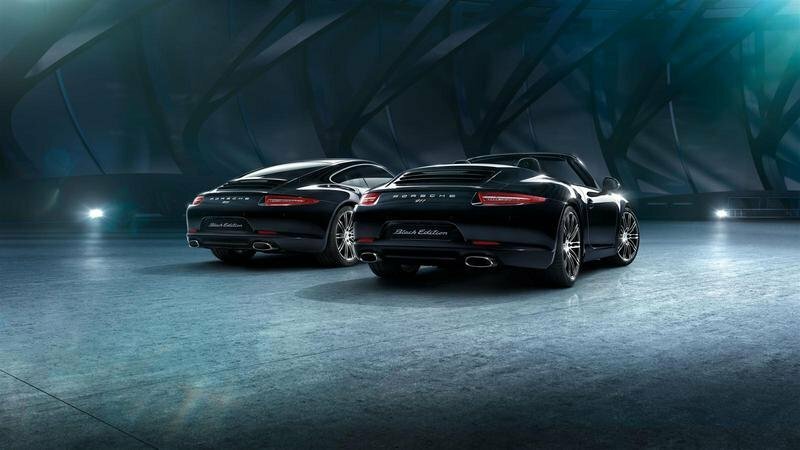 With a starting price of $79,995 for the coupe and $83,995 for the convertible, it is almost an unreal value next to the 911 Carrera Black Edition. What’s more, you can cozy up to the range-topping 3LT trim level and still be just a few hundred bucks over the base price of the Black Edition Coupe. 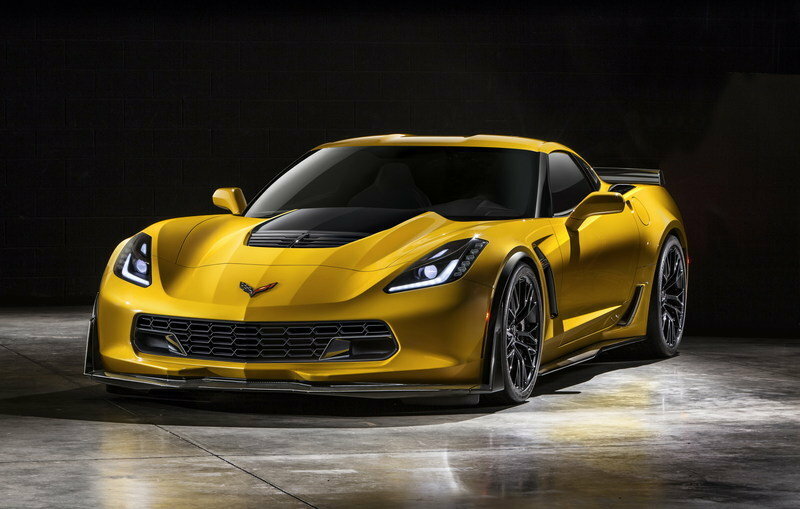 With the Z06, you get a 6.2-liter supercharged V-8 that’s good for 650 horsepower and 650 pound-feet of torque. It comes standard with a seven-speed manual transmission, but an eight-speed auto is available. In a straight line, the Corvette Z06 will leave the 911 Carrera Black Edition eating good old American dust, as it hits 60 mph in fewer than three seconds. The Black Edition is a great value proposition for buyers, plus it always sounds cooler to have a longer name attached to your German rig – particularly one with “Black” in it. In all seriousness though, you’re getting $12,500 in options for just an extra $4,500 and you’re getting the legendary performance of the 911, do you really need me to tell you how awesome this car is? 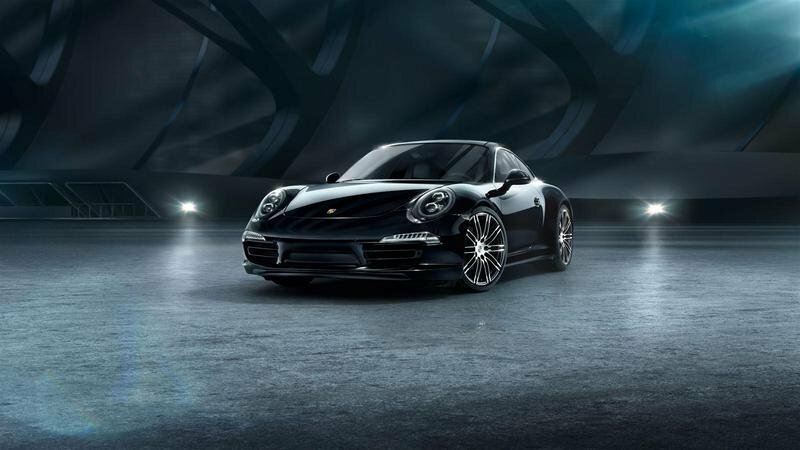 Porsche has created a special series of the 911 Carrera: the Black Edition. The combination of black paintwork and black interior emphasises the timeless yet purposeful elegance of the iconic coupe that has been acclaimed as one of the world’s benchmark sports cars since its launch in 1963. A rear-mounted, flat-six cylinder engine is a symbolic component of the 911 identity. 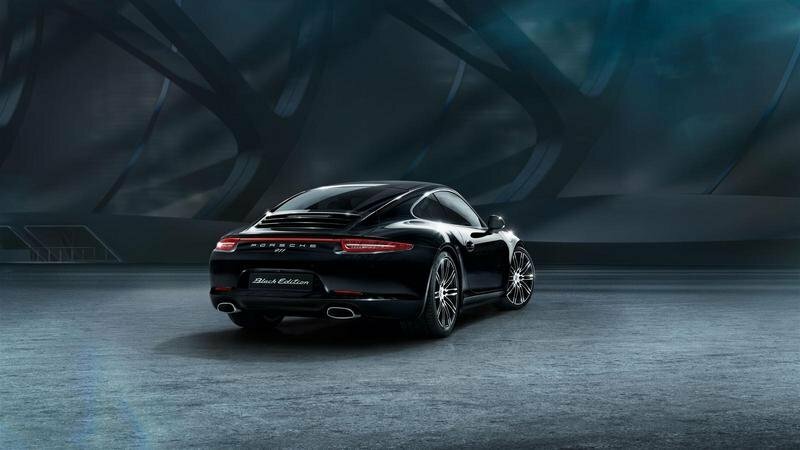 The 911 Carrera Black Edition is powered by a charismatic 3.4-litre power plant developing 350 hp (257 kW). It is offered as coupé and convertible versions, and with rear-wheel drive or Porsche Traction Management (PTM) all-wheel drive. The special model rides on eye-catching 20-inch diameter ‘911 Turbo’ style alloy wheels and further graphic differentiation is provided by LED headlights including the Porsche Dynamic Light System Plus (PDLS+). The black interior simply looks sophisticated. The driver and passenger sit on heated seats - with the Porsche crest embossed on the head restraints - and the standard Bose® Surround Sound System provides excellent sound quality. In addition, the mobile telephone module, front and rear Park Assist, which includes a reversing camera, and ‘911’ rear badge add to the effortless style of this 911. In the year to date April 2015, sales of the 911 accounted for over a third of the total in its market segment in the UK. 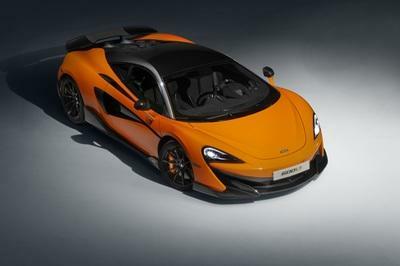 This is nearly 10% up on the previous year, and underlines the enduring appeal of this iconic sports car.